Mucilin Line Grease Floatant is a great all-round floatant for fly-lines, flies and leaders. A little Mucilin smeared on the fingers and rubbed over the fly-line will give the line a water-repellent coating. 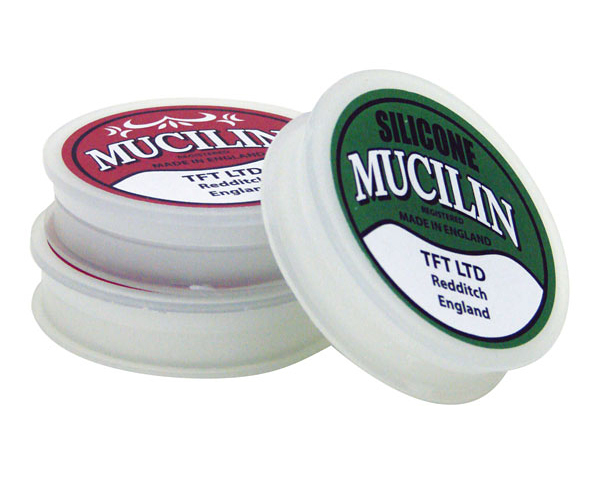 Mucilin Red is a natural line floatant for use with PVC and silk fly lines. Mucilin Green is a silicone based line floatant for use on PVC fly lines only. Stylish use of fishpond Jacquard webbing to hold floatant bottles. Dilly Wax is the very best and longest-lasting fly floatant available.